Are you looking to improve your health of your workers? If so, you’re on to something. Investing in a workplace wellness program can provide broad-reaching benefits for your company, not just employees. Wellness can improve your employer brand, build loyalty among current employees and may even save you money, experts say. Yet, finding a program that works can be a challenge, especially for growing companies with limited budgets. Promoting workforce health can also help make your organization an employer of choice, especially for younger workers, says health and productivity management expert Ron Z. Goetzel, Ph.D., vice president of consulting and applied research for Truven Health Analytics and director of the Institute for Health and Productivity Studies at the Johns Hopkins University Bloomberg School of Public Health. If your employees are mostly stressed out 30- or 40-year-olds who eat too much and don’t exercise, you’re not going to turn that around overnight, warns Goetzel. And there are more potential benefits. 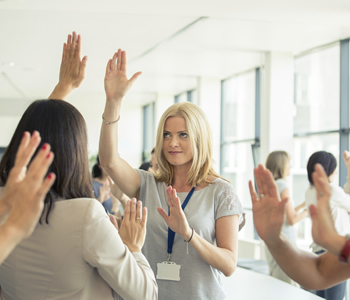 The right employee health program can help boost employee productivity, says David A. Sharar, Ph.D., chief clinical officer, Chestnut Global Partners, Bloomington, Illinois, which provides employee assistance programs. How do you get the most bang from your employee wellness budget? The Transamerica Center for Health Studies’ report, From Evidence to Practice: Workplace Wellness that Works, is a good place to find reliable suggestions that are free or low-cost for improving employee health, Goetzel says. With so many wellness programs out there, it can be tough to find the right one for your company. The Centers for Disease Control’s Workplace Scorecard can help you set priorities for health programs. One way to make sure your wellness program fits your company culture is to ask employees what health issues they want to tackle, says David W. Ballard, director of the American Psychological Association’s Center for Organizational Excellence. Armed with a short list of health concerns, focus your efforts on a particular health condition. For example, AT&T employees improved their heart health by losing 40,000 pounds and logging 2 million miles during the “Chairman’s Challenge,” a competition where individuals and groups competed to see who could lose the most weight, stop smoking, and get healthier. If your work practices are not aligned with wellness, your program is likely to fail. In other words, you need to walk the talk. Promoting workplace wellness isn’t a one-time effort. It’s an ongoing journey that’s informed by an understanding of your employee population. When done well, it provides a win-win benefit that improves your employees’ well-being and the health of your business.